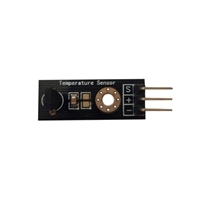 LM35 Temperature sensor uses the LM35 integrated circuit. Can be used in numerous weather detection applications for home automation / weather monitoring. Breakout board format allows for easy interfacing with Arduino.